You seem like a man who values exactitude. I applaud that. Unfortunately, I’m pessimistic that my answers will satisfy your curiosity. But let’s try anyway, shall we? I don’t know where the jobs are, exactly. In general, I know that millions of openings can be found on hundreds of various job boards as we speak. Government figures say nearly 6.5 million openings exist, most of which require training, not a four-year degree. I can also tell you that every single person I know with a skilled trade – from welders to plumbers to electricians to appliance technicians – has more work than they can possibly tend to. In other words, opportunity is abundant, but I can’t speak to every zip code. You might need to move. As for the number of people we’ve assisted, I’m afraid that’s also a bit vague. The real purpose of mrW is to perpetuate a national conversation about the many opportunities available in the skilled trades. Given the amount of press in which mrW has appeared over the last ten years, and the thousands of letters I’ve received from people who explored a trade as a direct result of something they saw me do or heard me say, I’m inclined to think we’re having an impact. But I can’t prove it. What I can do, have done, and will continue to do, is share true stories of the many hundreds of people who have received financial assistance from my foundation, learned a useful skill as a result, and subsequently put that skill to use. 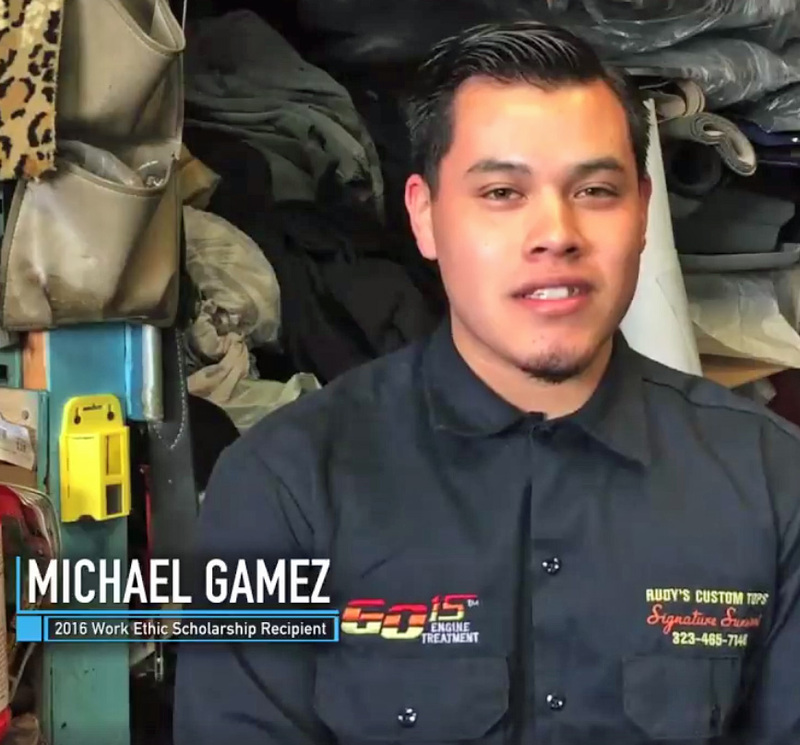 Michael Gamez is an excellent example. His short video is attached, and I hope you watch it. His work ethic and his ambition are exactly what we aim to encourage. Universal Technical Institute, and The Distribution Contractors Association. Thanks to their generosity, I’m currently trying to give away over $600,000 to hard-working people who wish to pursue a career in the skilled trades. I’m very grateful to all of them. As for trade unions, I’ve worked with many, and accepted financial support from several. But mikeroweWORKS does not insert itself between labor and management. Never has, never will. Our purpose is to shine a light on opportunities that exist in the skilled trades, regardless of union involvement.